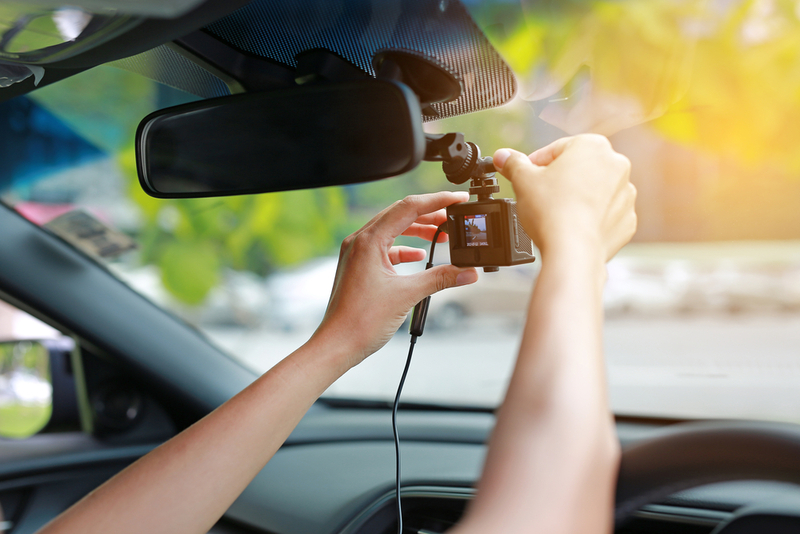 If your dash cam isn't fitted properly, not only can insurers and the courts disregard the footage it captures, but you may well be breaking the law. When setting up a hands-free holder for your smartphone or mounting a sat nav, it's tempting to just stick it wherever works best, as sometimes they don't want to stick or can't be seen clearly, or the lead won't reach the cigarette lighter. However, you absolutely cannot do this when installing a dash cam. A dash cam must be fitted behind the rear-view mirror so it's in the centre of your windscreen, but not obtrusive to your line of sight. This ensures it will capture both lanes of the road ahead, along with the signage on either side. The best dash cams come with a nice long power lead, so you can tuck it around the edge of your windscreen before trailing it to the cigarette lighter. Make sure you don't simply plug it in directly, leaving the cable hanging down and getting in the way.